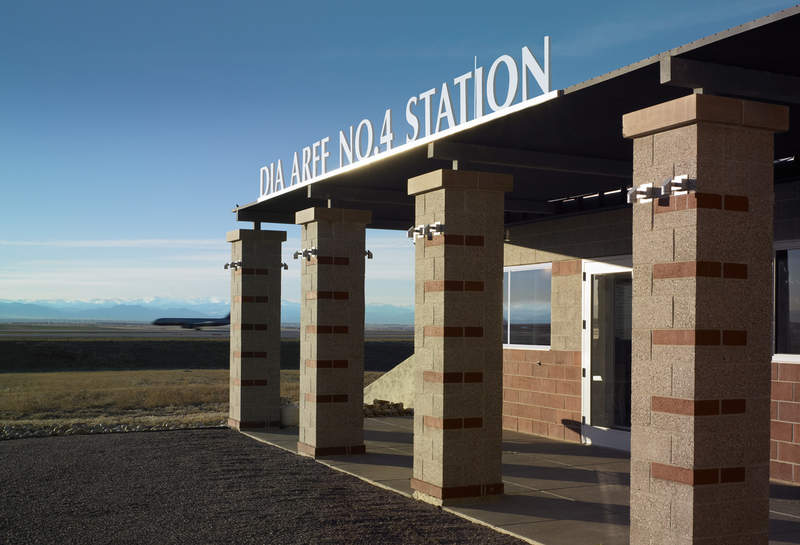 DIA selected The Roybal Corporation to develop a prototype Aircraft Rescue Fire Fighting Station for the Denver International Airport. This prototype formed the design foundation for ARFF No.2, No.3, and finally No.4. The station design was highly flexible and allowed for a variation in apparatus bays, and dorm rooms. 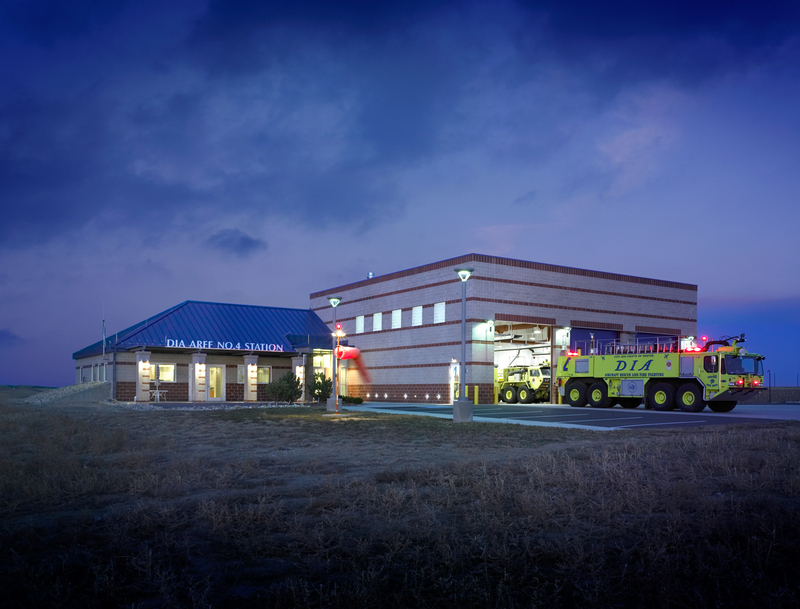 The ARFF Station No.4 contains three (3) apparatus bays and is designed to operate 24 hours per day, 365 days per year. In addition to the apparatus bays and dorm rooms, the facility contains a day room, a kitchen, rest-rooms, office space, laundry facilities, and mechanical and electrical rooms. Station No.4 is located between runways 34L/16R and 34R/16L. 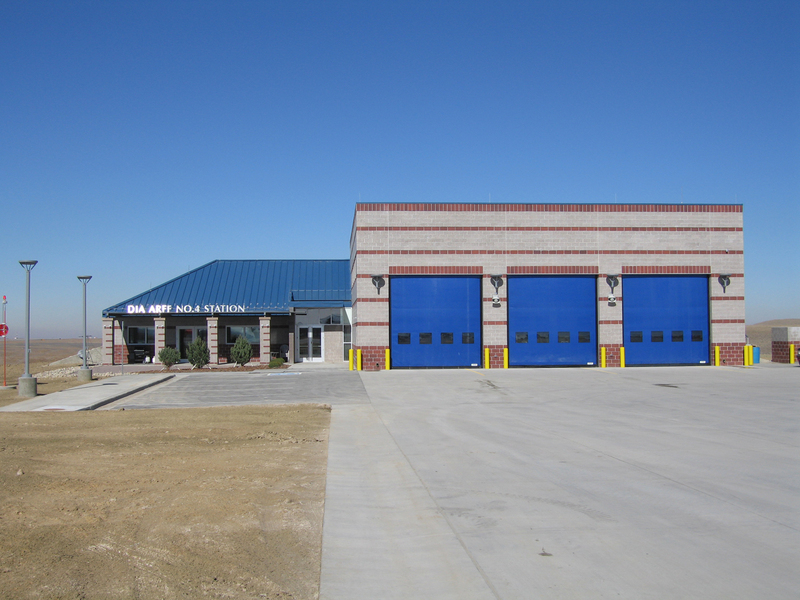 ARFF Station No.4 was a replacement facility, therefore the timeliness of its completion was of paramount concern. The location of this facility required The Roybal Corporation to develop staging and phasing drawings as a part of the construction documents.